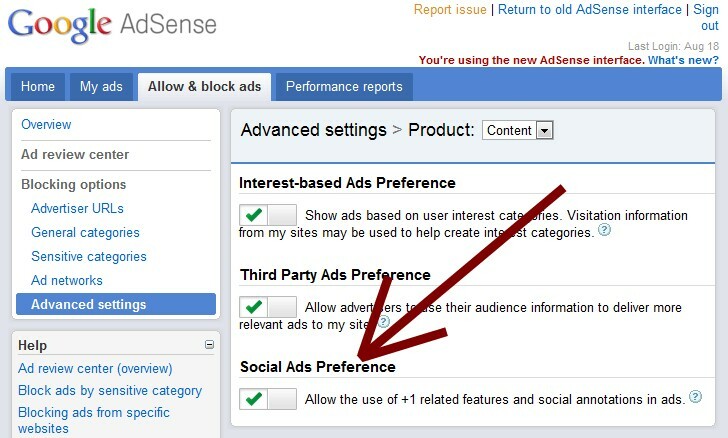 How To Remove Plus One Button From Adsense Ads? We have already told you that Google will soon start displaying Plus One buttons next to Adsense ads on Publisher websites. Although, this will prove beneficial for both the Publisher and the Advertiser, but some of you may not like the idea of displaying a Plus One button next to advertisements. Please note that the Plus One button will appear on only those ads which have been permitted by the advertiser for showing the Plus One button. In this article, we will tell you how to remove or stop showing the Plus One button on Adsense ads that show up on your website. Step 4: Select one of Content, Mobile Content, or Mobile Content Apps from the Product drop-down as per the ad content type you want to change the settings for.